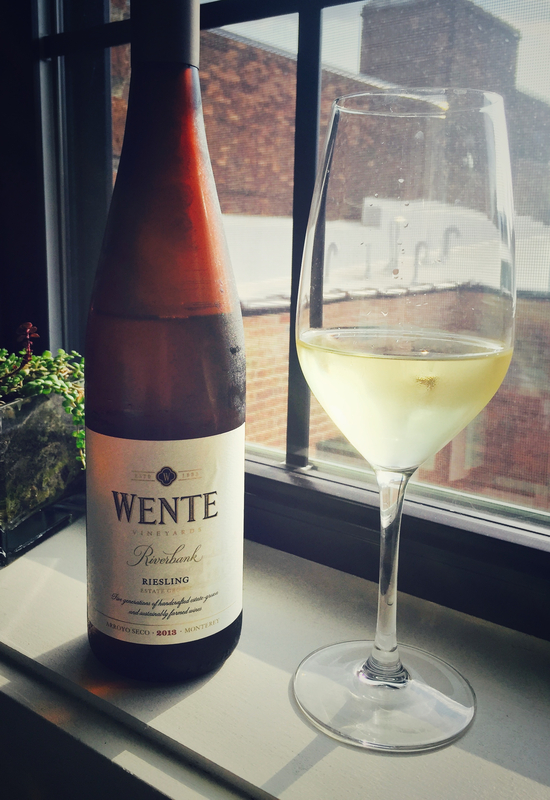 Estate: Located east of San Francisco in the California’s Livermore Valley, Wente Vineyards is the country’s oldest, continuously operated family-owned winery. Today 5th generation winemaker Karl D Wente heads the 3000 acre estate, blending family traditions and modern, innovative winemaking practices. The family is passionate about sustainable practices in both the vineyards and winery, and with over a century dedicated to preserving their lands, they have developed the Wente family’s “Farming for the Future program. Created with the health and well-being of its employees, the local community and the planet in mind”, the program “enhances the vitality of the soils, creates a balanced, sustainable ecology, minimizes water use and reduces non-organic wastes”. For more details on the program and Wente Vineyards impressive sustainability practices, please click here . Winemaking: Grapes were sourced from the Riverbank estate vineyard, located in the Arroyo Seco appellation. Fermented cold in stainless steel and aged in stainless steel tanks. Tasting Notes: Pale gold in colour with ardent aromas of honeysuckle, apple and ginger. Lush apple and pineapple flavours are balanced by a fresh acidity, whilst spicy ginger, pink grapefruit and mineral traces comprise the crisp finish. A solid semi-sweet Riesling at this price point, wonderfully balanced and easy drinking. Pairing Suggestion from the Winery: Delightful as an aperitif or served with fruits, cheeses and a variety of light entrees.